Walk back to the building (The Boating Center) and follow signs (by the pay telephone) to either upstairs or to the classroom. There is a parking lot adjacent to the Institute office in Lakeside Park. 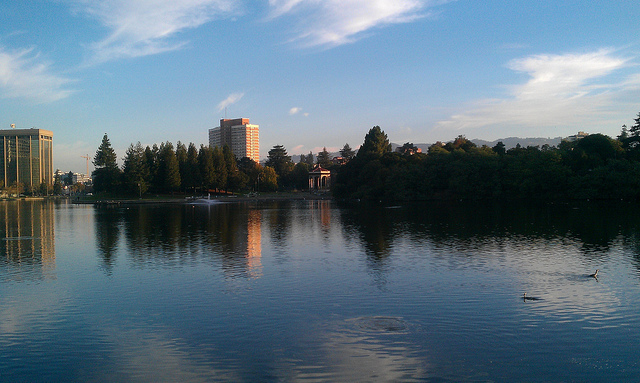 The Oakland Office of Parks and Recreation charges for parking in Lakeside Park. On weekdays (beginning at 1 pm) the fee is $2 for 2 hours or $10 for all day (the park is closed late at night). On weekends and holidays, the fee is $5 for all day.